Heaven Solu­tions par­tic­i­pated in the aca­demic event STARTUP EUROPE COMES TO UNIVERSITIES. The purpose of the event was to encourage stu­dents in making entre­pre­neurship a valid and respected career choice, use their enthu­siasm and ideas in cre­ating their own start-ups. 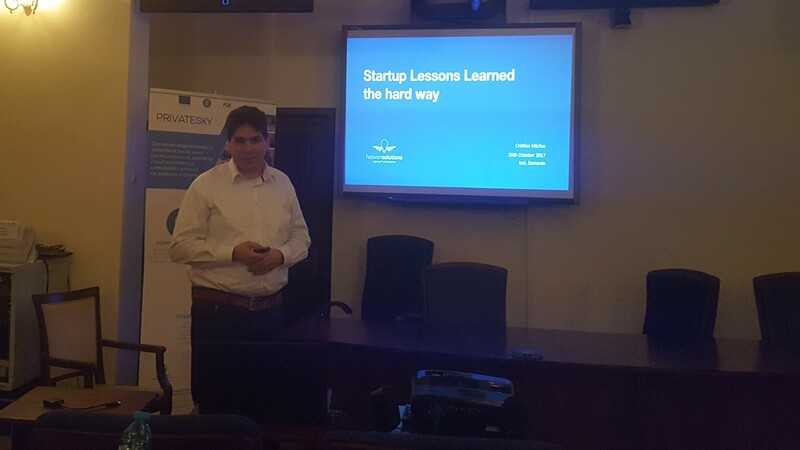 We told the story about the lessons learned the hard way in a start-up evo­lution and growth but also about the thrill and drive while working with a pas­sionate team. We’ve worked hard, had ups and downs, embraced change and suc­ceeded! In con­clusion, seize the moment and start your idea!